Paying incorrect postage rates can make a serious dent in your profits. So why guess when you can get it exactly right every time with our range of postal scales? Postal scales from MonsterShop are simple to use and are packed with great features to make your work life as easy as possible. Whether you’re new to eBay and selling a few unwanted items from home, or even working for an international company shipping packages around the world, you have the same basic need which is to understand postage weights and ensure that you’re charging and paying the correct amounts to maintain your profit margin. 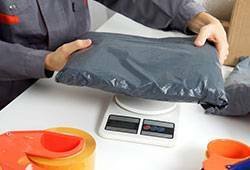 MonsterShop postage scales are the reliable and cost effective solution which will enable you to manage your postage costs effectively. So take control of postage costs and order a postal scale today. If you get you order in before 2pm you can have it tomorrow with our FREE super-fast delivery service (UK mainland only).